Iceland seems to be in everyone’s planned trips nowadays, even in our nook in Southeast Asia which was previously obsessed only in the exotic cultures of neighboring countries and the old cities in Europe. One of our acquaintances had recently been to Iceland for honeymoon, and they graced us with photos of ice cave explorations. Another one did a road trip photography, eventually creating a Facebook album filled with photos of eerie & iconic landscapes – snow-capped mountains, beaches filled with glittering chunks of ice and, of course, the Northern Lights. The photos were breathtaking. These were enough to convince us to go. 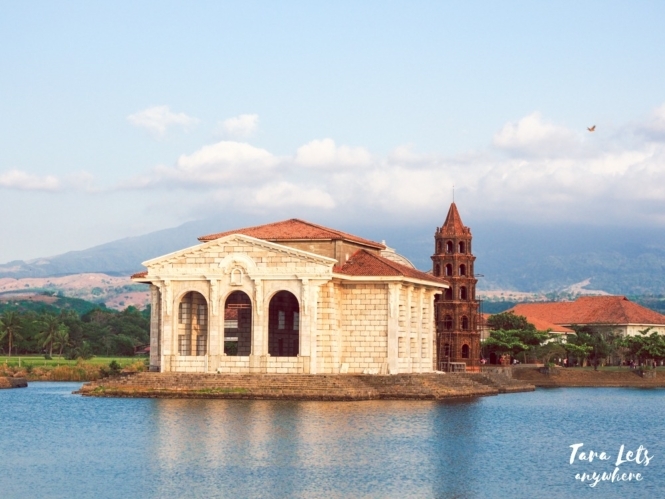 If like us, you want to plan a trip this country as well, you’ll find this listicle helpful. 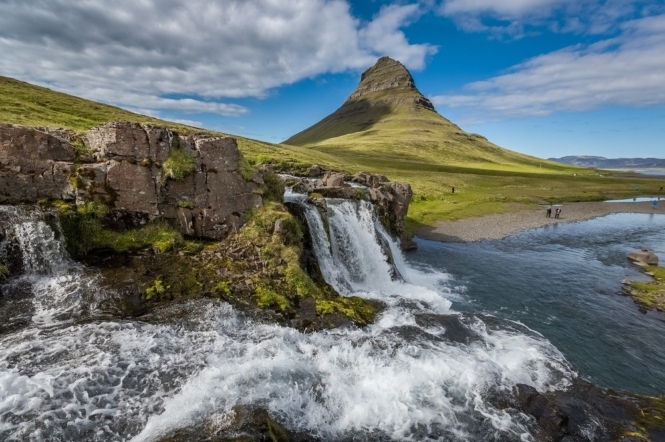 Here we’ve compiled the best things to do in Iceland, so you can make the most of your trip and have that memorable experience that this Nordic island country in Europe promises. Who hasn’t dreamed of seeing the Northern Lights in person? I admit I’d wanted to, ever since I was a kid. The Northern Lights is an out-of-this-world spectacle, with lights dazzling and dancing across the night sky. To witness this phenomenon, you have to travel to the few countries located in the southern or northern hemisphere and even then cross your fingers for a clear sky for viewing. Iceland is one of the best places to see the Northern Lights because it offers visibility for 8 months in a year, from September to April. The best spots are a drive away from cities, where there is minimal to no light pollution. You can go search for the Northern Lights on your own, although others prefer to join guided tours where there are guarantees of a do-over if the aurora is not seen on the tour date. If you’re a (budding or seasoned) photographer who wants to capture the Northern Lights, as well as see the best photographic landscapes in the country, you may opt to join one of the many photo tours in Iceland instead. 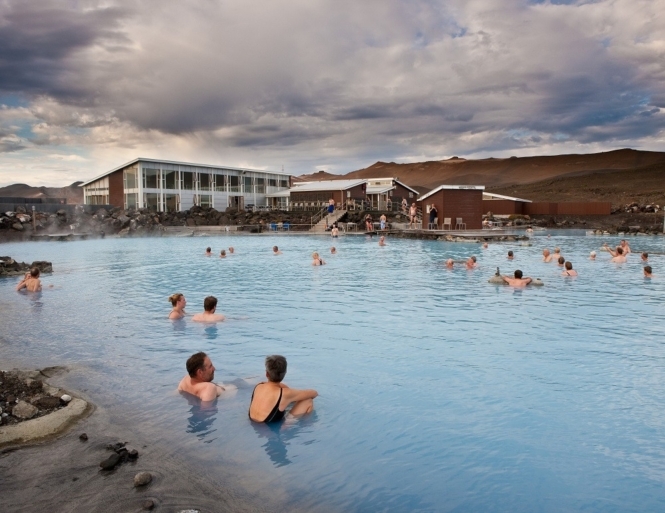 The Blue Lagoon geothermal spa is one of the most famous attractions in Iceland. You can’t visit Iceland and not take an obligatory photo of yourself dipping in the mineral-rich water of this lagoon. The Blue Lagoon is located in Grindavík in the Reykjanes Peninsula and about half an hour’s drive from the airport. It’s actually one of the nearby places you can drive to after arrival in Iceland. On a side note, for those who find the Blue Lagoon too commercial or crowded, there are lesser-known hot pools that you can find scattered across Iceland, with some within the vicinity of Reykjavik as well. A lot of these pools are cheaper to access (some are even free) and also offer scenic backdrops. Ice caves are an amazing work of nature. They are formed in glaciers, with melted water eventually forming the cavities of the cave. There are a number of ice caves in Iceland. The most popular one is the Crystal Cave in Vatnajökull National Park in the south east, which is easily accessible. Here you can see jaw-dropping ice formations and shapes and varying degrees of blue reflected in the ice. It’s one of the things that make a trip to Iceland truly unique and riveting. It’s required to go with a tour guide when exploring an ice cave, to prevent any potential accidents. An ice cave tour can be booked along with a glacier hike. As above, you can also go on a multi-day tour that include this activity as part of the itinerary. Iceland has some of the most dramatic-looking waterfalls in the world. Its cold climate produces snow, which then melts over the summer, resulting in a number of powerful waterfalls in different environments. Of these, Gullfoss is the most popular waterfall in Iceland. Also notable are Seljalandsfoss, which offers a unique view from behind the falls; Svartifos, which is surrounded by rectangular basalt columns; and Godafoss, which is rich in mythology and also called the “Waterfall of the Gods.” Another interesting waterfall in Iceland is Skogafoss because its strong water spray constantly produces a single or double rainbow on sunny days. Some of these like Gulfoss are located in established tourist trails, while others require a longer drive and even ventures across off-the-beaten paths. As a beach lover, of course I won’t pass up the opportunity to see the beaches in Iceland. Unlike the tropical beaches we’re used to in our home country Philippines, the beaches in Iceland have distinct features. Most of the beaches in Iceland have black sands, due to the volcanic feature of the country. Diamond Beach, also known as Jokulsarlon Beach, is a black-sand beach with glistening icebergs (“diamonds”) that have drifted ashore. Vestrahorn Beach is another example, and it’s sought after for the ever-changing landscape in its background, Mt. Vestrahorn. While a lot of these beaches are good only for sightseeing & photography, there are also warmer beaches in Iceland including Nautholsvik, which is located in Reykjavik. Obviously, there are so many fascinating things to do in Iceland and it’s no wonder this country is receiving more tourists than ever. It’s recommended to stay at least 7-8 days in Iceland to see its major tourist attractions and more depending on what you want to do and where you want to go. As some veteran travelers would advise, the best sights can be found when you venture out of the capital of Reykjavik, so you might want want to plan a long-enough trip. 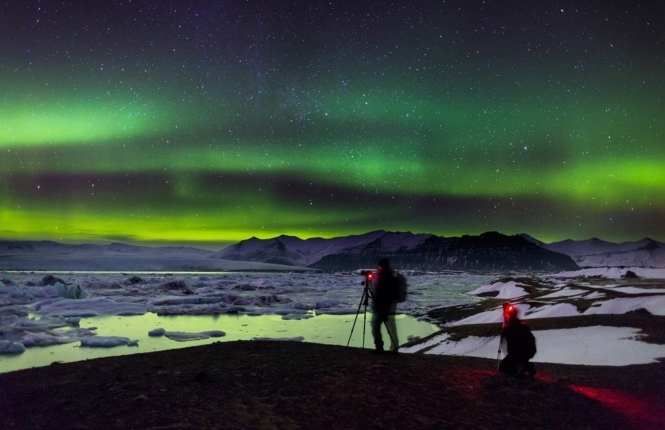 Note: All photos used, including the featured image, are duly credited to Iceland Tourism.